Nomi Eve, author of Henna House is serious about connecting with readers. Henna House tells the story of Adela Damari, a Yemenite Jewish girl born in 1918. 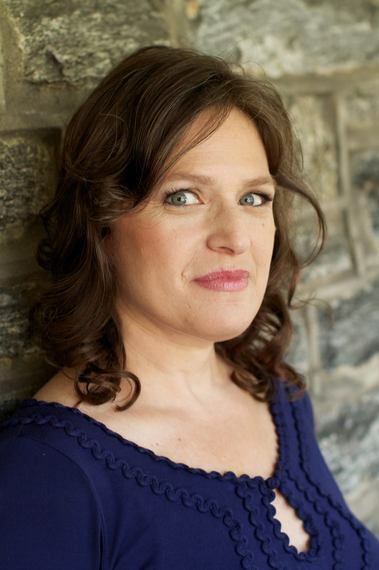 Adela narrates the book, telling readers a tale of love, loss and betrayal that is at once personal and historic. As part of her efforts to help market her book, Nomi Eve launched a 100 Book Club Challenge. Through a mix of Skype and in-person meet-ups, Eve wants to discuss her book with 100 different book clubs across the globe. Where did this idea for 100 Book Clubs come from? How many do you have so far? My second novel, Henna House was about to come out, and I was dreaming up ways to be an active partner in the marketing process. So much of book selling magic is out of a writer's control, but meeting with book clubs seemed like one way I could actually make an impact. And I guess I have a penchant for dramatic gestures. 100 seemed like a crazy amount of groups to meet with, so I just went for it and right away people seemed to respond. My first sign-up came really quickly. So far I've met with 28 groups either in person or via Skype. I have the 29th book club tonight. I have 82 book clubs signed up. I had originally thought that I'd be lucky to do 50 this year and another 50 next year when my paperback comes out. But now I think I will reach 100 by spring. I'll still meet with groups next year though. Who knows, maybe I'll reach 200! How are you finding clubs to connect with? In the beginning I found groups through my many friends on Facebook. But now the book clubs find me. What I realized pretty early on is that for every book club I do, I get another one signed up. Either someone in the club is in another group and wants to invite me to that, or they have a sister/friend/relative in another group and recommend me. So once I had 10 clubs, I really had 20, and so on and so forth. Also, I am incredibly grateful to Jewish Learning Ventures in Philadelphia for choosing Henna House as the One Book One Jewish Community feature selection this year. 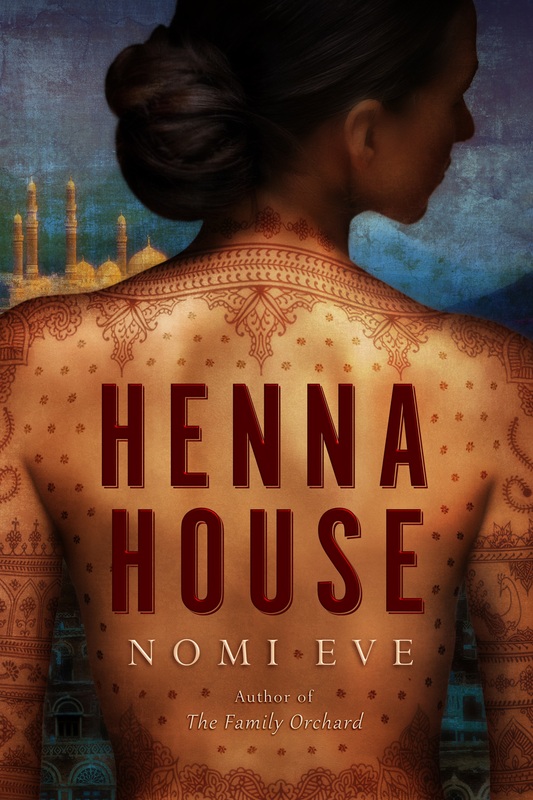 Because it's the One Book read, many synagogue book clubs have chosen to read Henna House and invite me to their gatherings. And all along, I am posting photos of the book club visits on my website blog, on Twitter and on my Facebook author page. Readers are following along on my journey and continue to recommend me to other friends. Social media has definitely helped make this happen. What is the most interesting club you have connected with so far? I Skyped with a group of women in Austin, Texas way back in the beginning of this challenge. They had made appointments at a henna salon the day before our Skype visit and then showed me their beautiful henna designs. I just love those ladies, they put a smile on my face even now just thinking about their enthusiasm for reading, for their book club and for Henna House. What questions would you most like to be asked about Henna House? I love to be asked why I wrote this particular book as well as about my characters, my research and also about my favorite books. Also, in my book henna is used to send a secret code. I like to be asked about the origin of this plot point because the answer lies in an interesting story. What can an author do to make people feel more comfortable discussing their book in front of them? I tell people at the beginning of the meeting that I have a thick skin, but that it's not that thick. In other words, I ask people to be nice to me. I let them know right away that I'm not there to be their punching bag, but that I am there to answer any questions they may have about character, plot, my research, my life as a writer. By laying these ground rules, I'm letting the book club know what I can handle. I figure that if someone hates the book, they should know from the very beginning that this isn't the time to let everyone (me included) know it. What does a book club need to do to have a successful event? How does a Skype session for book club work? Skype sessions are fabulous. We make a date, I share my Skype address with the group and then on the appointed day and time I'm at my computer. Of course, I've already changed my shirt, put on lipstick and brushed my hair. Also, I have a lovely folding screen I put up behind me so that the book clubs can't see my messy coat rack that is there. Then the book club runs as if I am actually with the group in person. I introduce myself, tell a little bit about why I wrote this particular book, and then I entertain questions. Every now and then one of my pesky children pops into the screen and says hi. The book clubs never seem to mind when my life as a mother intersects with my life as an author. I can honestly say that a Skype book club visit is just as rewarding as an in-person one. The technology makes it as if you are actually there. What's next for you after this challenge? I'm hard at work on my third novel, and I'm writer-in-residence of the brand new Drexel Storylab of Drexel University. Storylab will be offering creative writing workshops on evenings and weekends to adults in the greater Philadelphia area. I'm very excited to be a part of it. Also, I'm taking lots of notes on this experience and thinking of writing a book called "The One Hundred Book Club Journey," because it really is a journey. I'm learning so much about my own writing process from the amazing questions people ask. I'm learning about readers, book clubs, and also about the way book clubs foster life long friendships and a deep sense of community.